In 2012, our firm instituted the Women’s Initiative to support and develop the careers of women attorneys in the firm and to reach out to women in the community. Teaching women how to build their business and encourage them to be in charge of their careers is the goal of Partner Julie Kinkopf, who is the group’s Chair,. Working with Julie is Carolyn Mirabile to complete the Womens Leadership Circle. 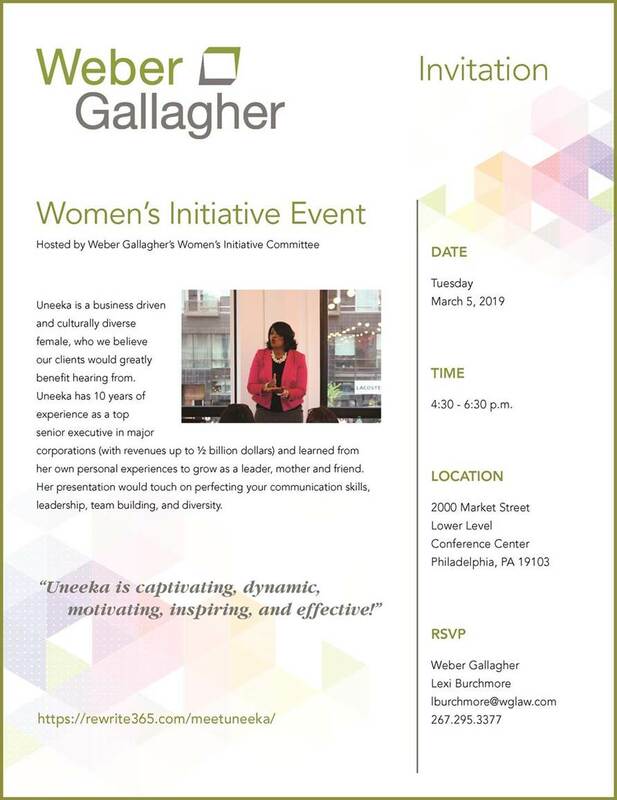 Weber Gallagher identifies with the diverse needs of women professionals and the group also seeks to help women balance work and outside life and to encourage women to consider the field of law. 04.05.17Weber Gallagher Womens Initiative Presents "The Right Look"
05.09.16Weber Gallagher Womens Initiative Hosts "A Sweet Evening with Weber Gallagher"
03.07.17Weber Gallagher Women's Initiative Hosts"The Right Look"
03.28.16Weber Gallagher Womens Initiative Hosts "A Sweet Evening with Weber Gallagher"